My vanity is probably one of my favorite things in my house. I really love it so much! It has the perfect amount of storage between the 2 drawers on top and the one long drawer underneath. I keep all of my lipsticks and lip glosses in the two drawers on top. And all of my makeup that I use everyday in the big drawer. I love that the big drawer comes with three dividers in it, so it is easy to keep things organized. The bench is also from Ikea. I couldn't find it online. It does not come with the vanity. I don't really shop at ikea all that much just because we think it is such a pain to put together the furniture. Matt literally hates doing it. But this vanity is so worth it. I think it is a great price and a great quality and I really recommend it. Okay these are my favorite face products. Some are new and some are old. I don't use all of these together but these are all my favorites that I rotate between. 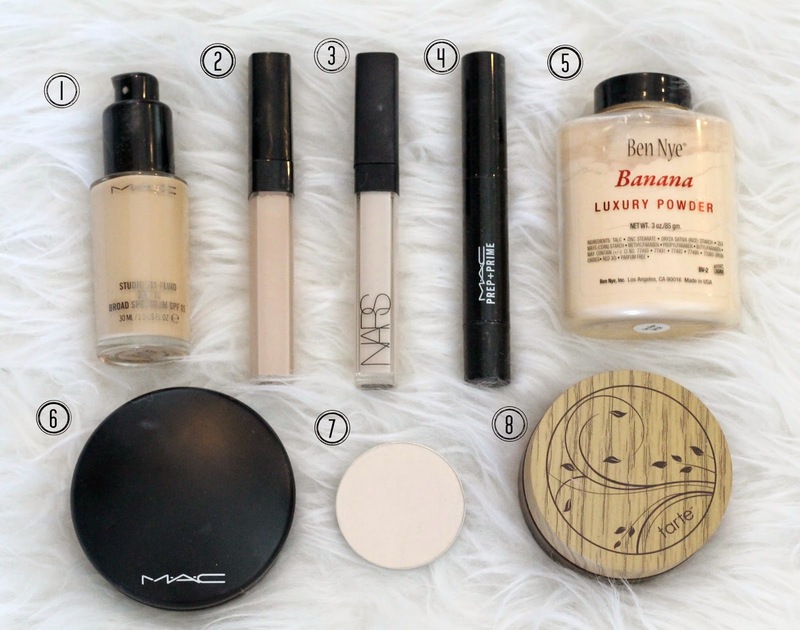 The Mac foundation is my all time favorite that I have been using forever. I use the channel concealer on my cheeks on a few scars and the nars foundation under my eyes to highlight and conceal. I set my foundation either with number 6 or 8 and I use number 5 or 7 to set my concealer. I number 4 to highlight my forehead nose and chin. 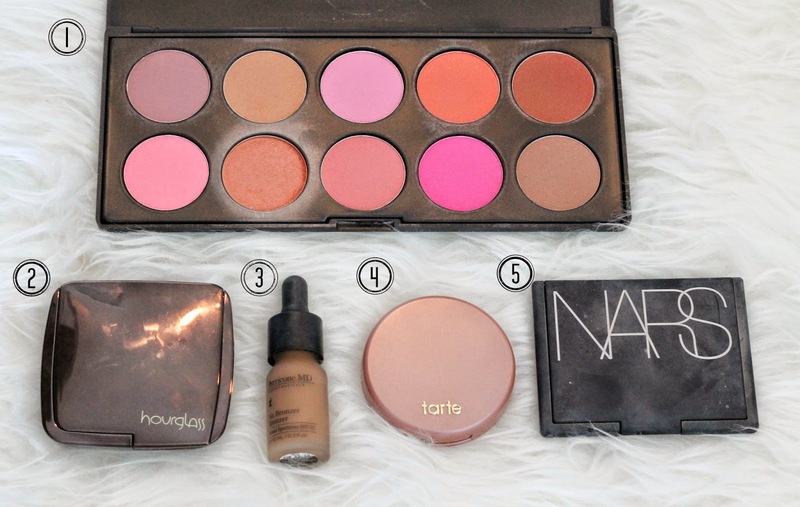 These are my favorite blushes, Bronzers and highlighting powder. 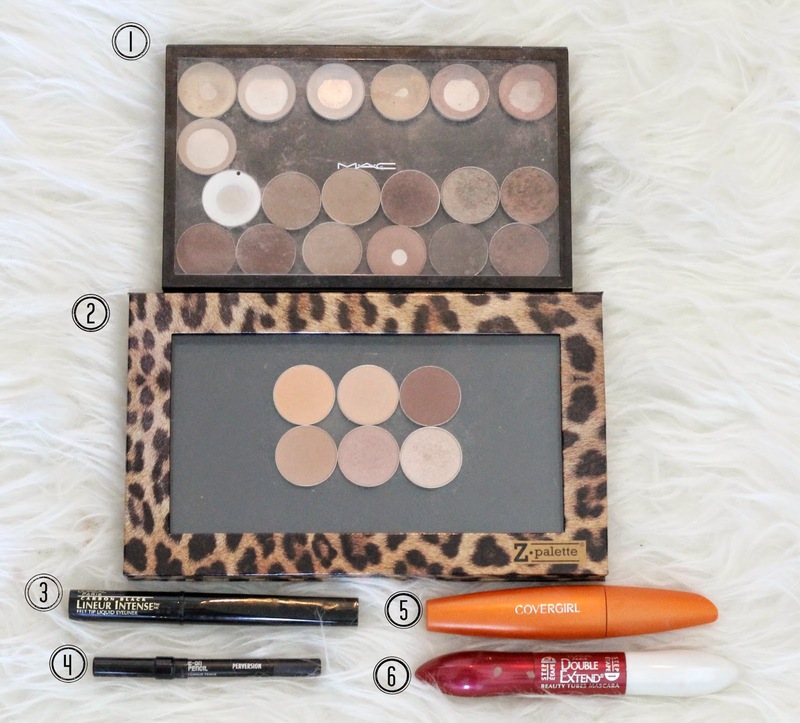 I use either number 3 or 5 to contour my face after I am done with my foundation. Then I put on my blush and then I go over the highlighted areas with number 2 to give them a little more of the highlighted affect. This powder is great because it is not to shimmery. Again I don't use all of these at the same time its just what I am in the mood for that day! These are my favorite brushes for all of the products I listed above. 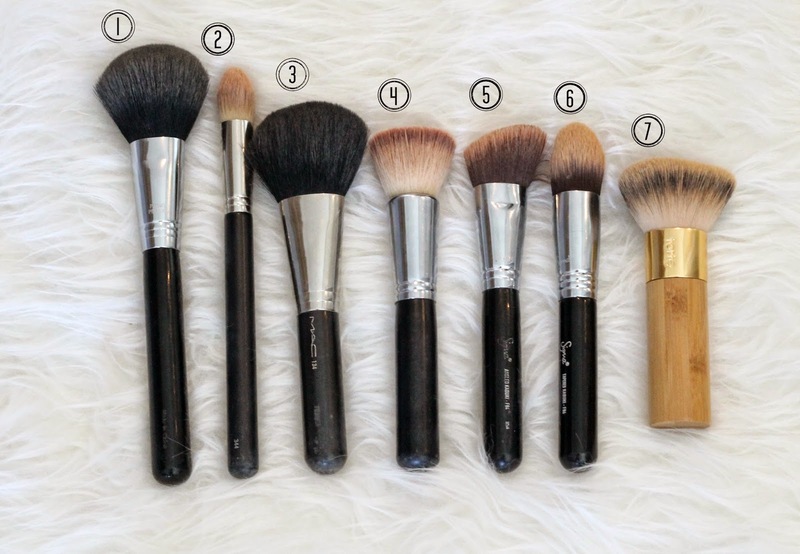 Number 7 is THE best brush for applying my liquid foundation. It makes it go on so smooth and so fast. 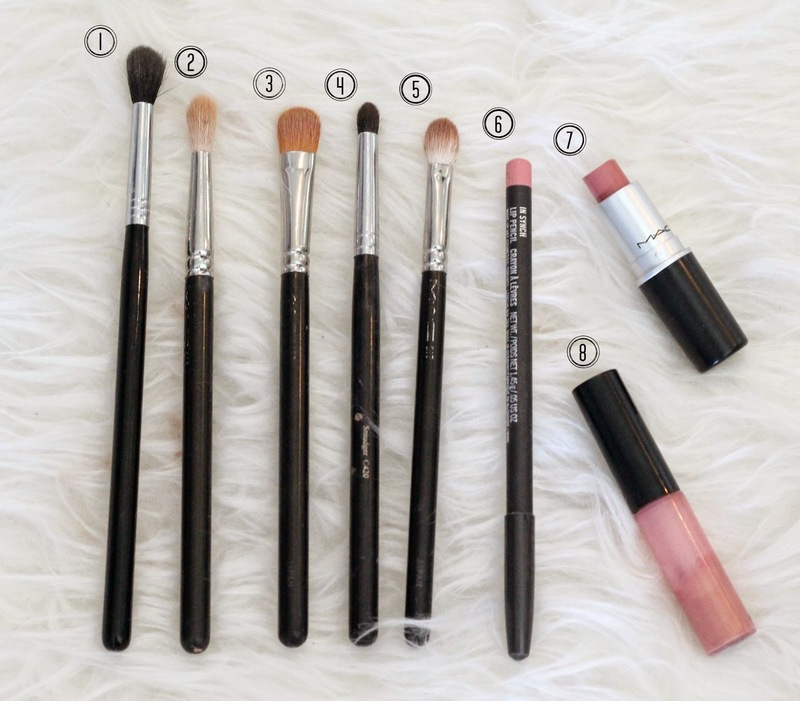 Number 6 is literally The best brush for applying under eye concealer. I don't know what I did before I had that brush. I use 4 to apply my blush and 5 to contour my face. These are my 2 favorite eyeshadow palettes that I created myself. These are the colors that I use most often. Number 3 is what I use on the on my top eyelid and number 4 I use to line my water line. I prime my eyelashes with number 6 and then coat them with number 5. I have been using this mascara forever and Its is my favorite of all the mascaras I have tried. These are my favorite eyeshadow brushes. I just really started doing more eye makeup. I never really used to mess with putting on to much eye shadow. But since I have been wearing a lighter lipstick I have been ore into doing my eyes. I like to do one or the other. Either a bold lip or eye. I feel like if I do both it is to much. This lip combo has been what I have been wearing everyday! Sorry this post was so long. I just wanted to share all of my favorite makeup products. I don't do this routine everyday by any means. But these are the products that I find work best for me. My skin is on the dryer side and I am really prone to hormonal breakouts. I also have been using this Clarisonic brush and it has really been helping my skin. I think I was the last person to get a clarisonic! But it is so worth the money. It really helps with my breakouts. I just use it with Neutrogena visibly even cleanser. I've always dreamt of having my own vanity/dressing table! This is gorgeous and your make up picks are on point, perfect for blondes! 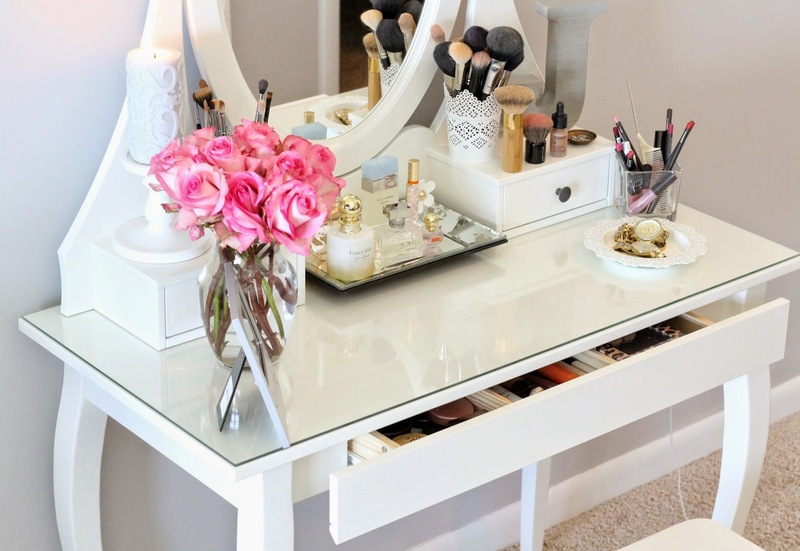 This is such a pretty vanity and you're using some amazing make up products! I gotta write some of them down and try them out, I got very interested. LOVE this! Thank you so much for sharing! 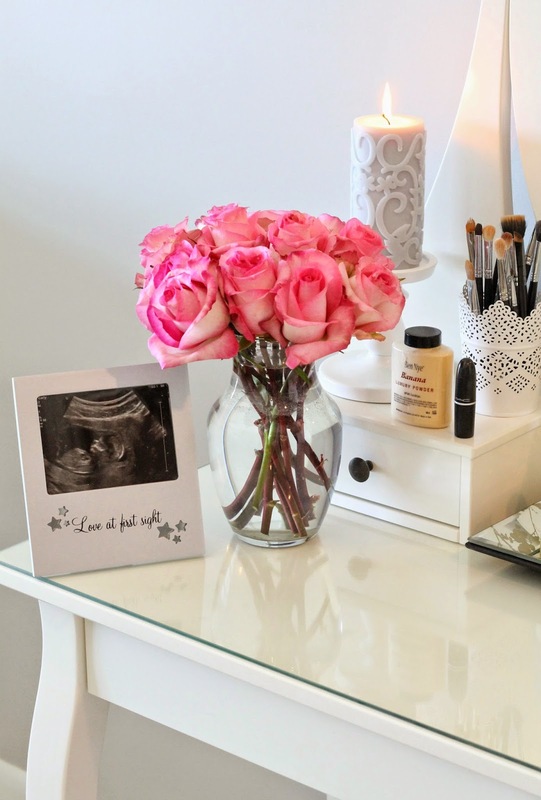 Your vanity set up is gorgeous! Great products! 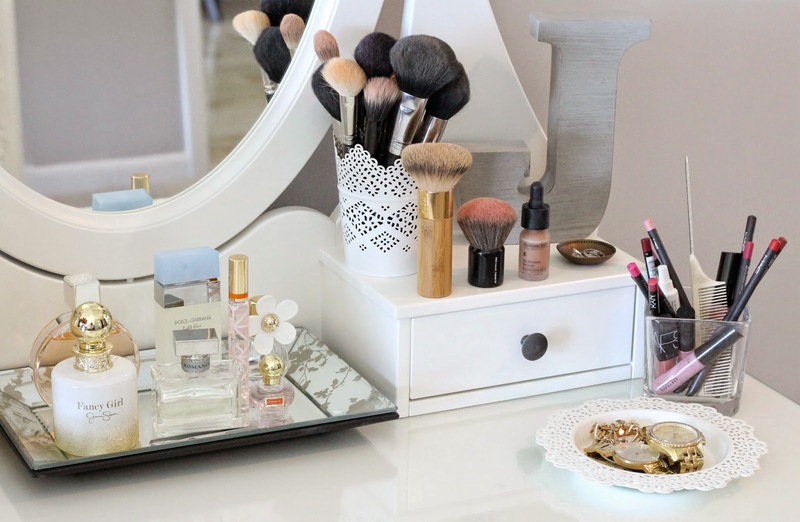 And your vanity setup is perfection. Looks like I have some new products to try!! In love with your vanity! Thank you so much for sharing! 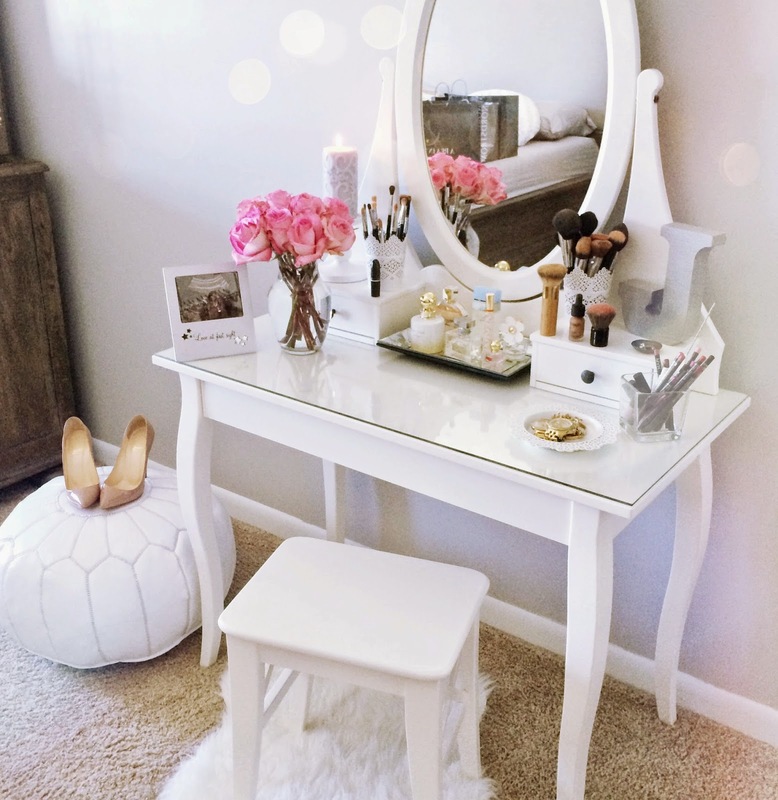 Oh my gosh this vanity is dreamy!!! Love this post! Your vanity is beautiful. Where did you get the trays on your vanity and the J block letter? Thanks for sharing all your product faves! I'd love to see a tutorial in a future post as well! This was awesome, thanks for sharing! I used to use that L'oreal mascara all the time, I found it really did work wonders however I think it was discontinued! I haven't been able to find it for about 6 months now in any store, have you? 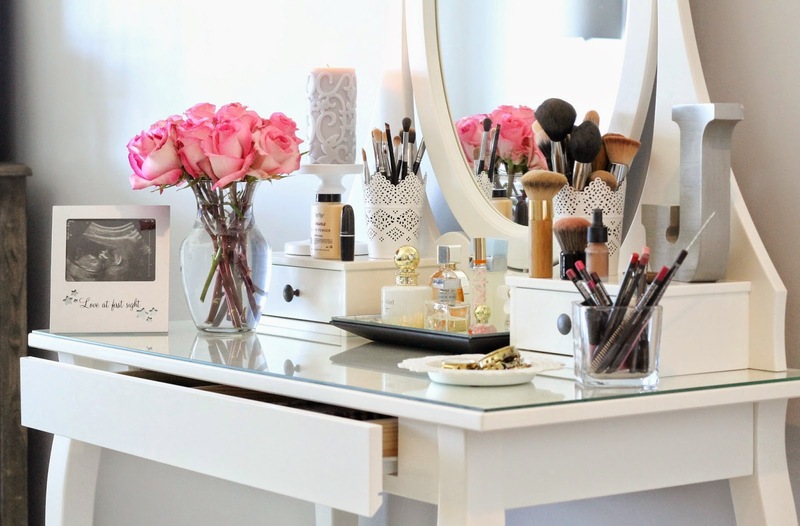 wow you have the prettiest vanity! A free venue finding service and latest formal dresses, helping you locate the best venue for your important event in the UK. Have a look on some of featured venues. Your Nana Unikorn day is one of the most important days of your life. You have probably been dreaming and thinking about your very own wedding day from adolescence, and now you have found the partner of your dreams and it is all coming true! These clients are especially worry with their wellbeing jolie face cream and they are not persuaded with the guarantees of those organizations. It begins with a straightforward pinch of Kim Cattrall Anti Aging Products certainty at that point closes with unbelievable diversion from the group.